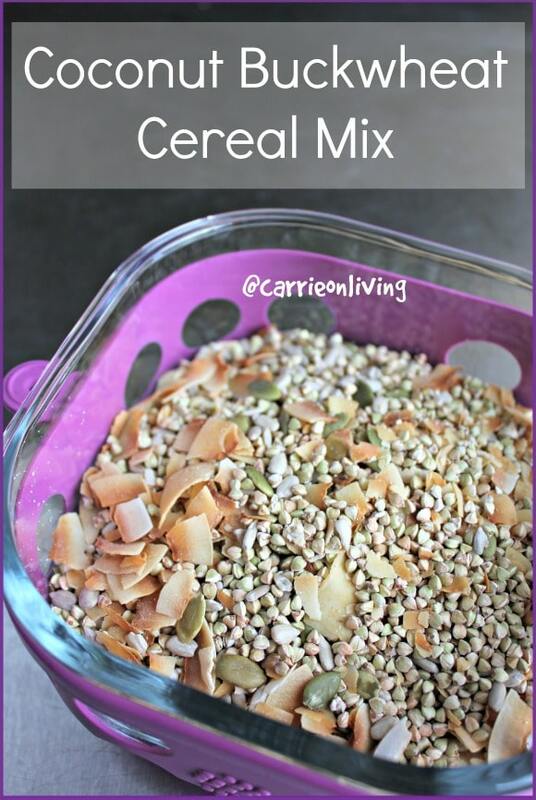 Make this gluten-free Coconut Buckwheat Cereal Mix for an easy and healthy breakfast option. Kids love it too! 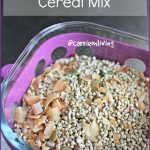 Two cool things to share with you today, the first being this recipe for Coconut Buckwheat Cereal Mix. This is a great blend to make ahead of time to serve with berries and your choice of non-dairy milk (homemade coconut milk is a great option) or even a homemade raw milk kefir or yogurt. *To toast coconut flakes, heat your oven to 325°F. 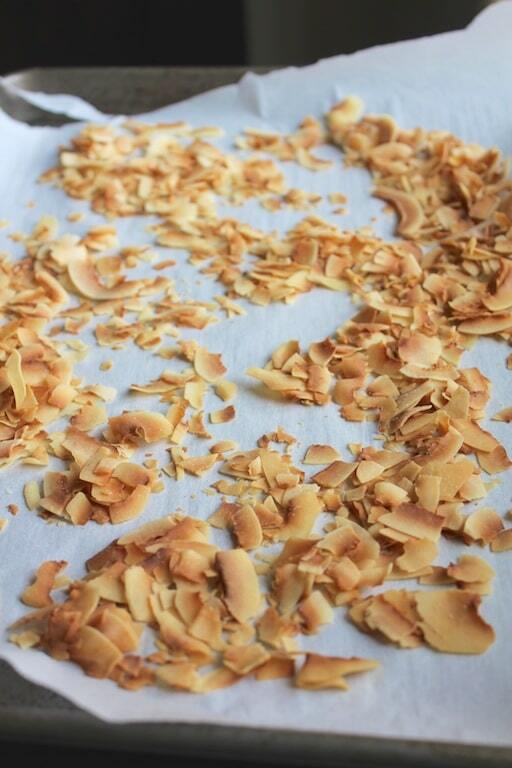 Spread coconut flakes on a parchment paper-lined baking sheet and bake for 5-7 minutes, keeping a close eye on the flakes so they do not burn. Let flakes cool on the pan for 10 minutes before using. 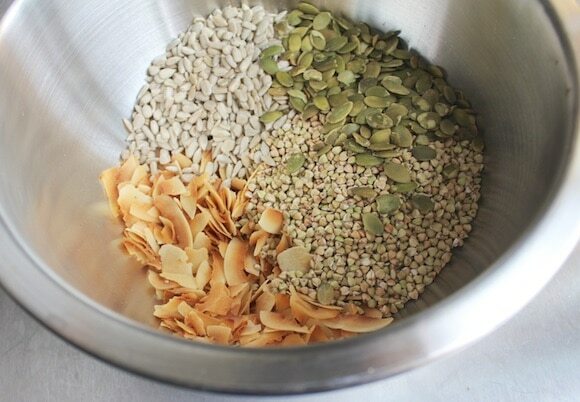 Combine toasted coconut flakes, buckwheat groats, pumpkin seeds, and sunflower seeds in a medium bowl and stir to combine. Serve with your favorite non-dairy milk (homemade coconut milk is a great option). Store in a glass container the fridge for up to a month. Note: this post was submitted to the Fat Tuesday link-up party hosted by Real Food Forager. 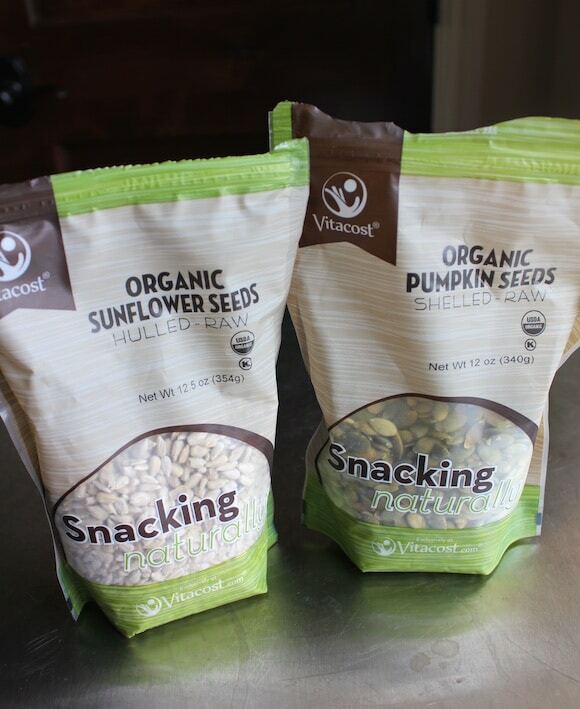 In my experience, soaking and dehydrating nuts and seeds makes them more digestible but also greatly improves their flavor and crispness. Maybe could just mix them in w/ the buckwheat during that part of the process? Looks yummy, Carrie! Did you sprout the buckwheat groats first? I would probably do that. Thanks for sharing! Love Lifefactory. Would love to switch to all glass storage eventually. I’ve been going Lundberg wild rice cakes with apple butter and hemp seeds every morning this week. This looks like a nice addition to my morning. Almost forgot…I’m on a kick now of adding chopped fresh spinach to the porridge after it’s cooked…great texture and a nice clean taste! I love fresh fruit for breakfast! I like to eat oatmeal for breakfast. Our absolute very favorite breakfast is the Coconut Crusted French Toast from Veganricha.com (http://www.veganricha.com/2013/06/baked-coconut-crusted-french-toasts.html). Other than that, it’s fresh squeezed orange juice!! I would LOVE to try out the silicone wrapped glass bowls. . .
My favorite breakfast right now is bacon and cauliflower. Sounds odd but it is so good. The cauliflower picks up all the flavoring of the bacon and I get some vegetables in my diet. Trying to eat 8-15 servings of vegetables and it’s hard to do. My favorite breakfast dish is overnight oatmeal with nut butter. 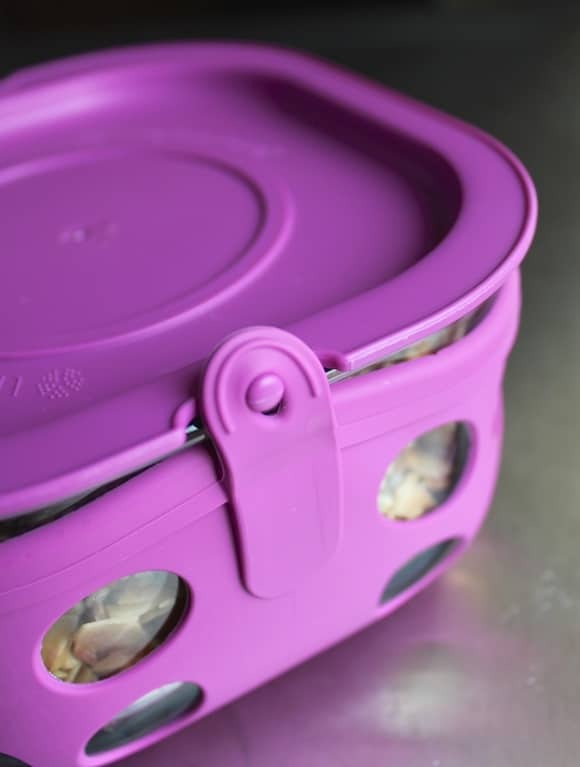 I love blueberry refrigerator oatmeal – so yummy and looks cute in the jars! My go-to is overnight oats, but on the weekends I make a dairy free Dutch Pancake! It’s basically a puffer, egg-ier pancake that you bake in the oven. I go easy on the suagr, sub soy or almond milk for regular and add a whole wheat flour. Still not “healthy,” but a great treat on a Saturday or Sunday morning! I do a lot of things with buckwheat groats, too; they’re wonderful! My favorite breakfast right now, though, is hot soup…a great way to warm up in the mornings. I’m so inspired by your note, Linda! I resisted for so long the savory breakfasts, but I’m testing them out lately and finding them to be so health-promoting AND delicious. XOXO. P.S. How do you make your buckwheat groats? Soak, rinse, and dehydrate, or ??? Yes, I usually do that before I store them in a pitcher, ready for use. Since I can’t digest oats, anything that calls for oats is likely to be made with buckwheat at my house: in cookies, cobblers, stews, dehydrator treats, etc. A favorite for my sons is what we call buckwheat porridge: coarsely ground (in FP) buckwheat mixed with a little ground flax seed. measure water plus that mix, cook to thicken, and serve as desired…stir in homemade apple butter, peanut butter & fruit spread, raisins & cinnamon, leftover smoothie…my boys’ creativity knows no bounds! Also a fantastic addition to trail mix, another family favorite. My favorite breakfast right now is teff with broccoli leaves, chia seeds, kiwi, berries, and almond milk. Wow, what do you mean by broccoli leaves, Marlene? I’m curious! They are simply the leaves of the broccoli plant. I found them once at Whole Foods, but now I usually get them at the farmer’s market. Right now I’m loving green smoothies with protein powder, spinach, peanut butter, some stevia, and cinnamon. Keeps me full for hours and tastes like a treat! I’ve been doing overnight steel cut oats for about a week now, but eggs are my forever favorite! I could live my life on eggs alone! favorite breakfast right now is a bit huge smoothie and some Ezekiel toast with almond butter. So yum. 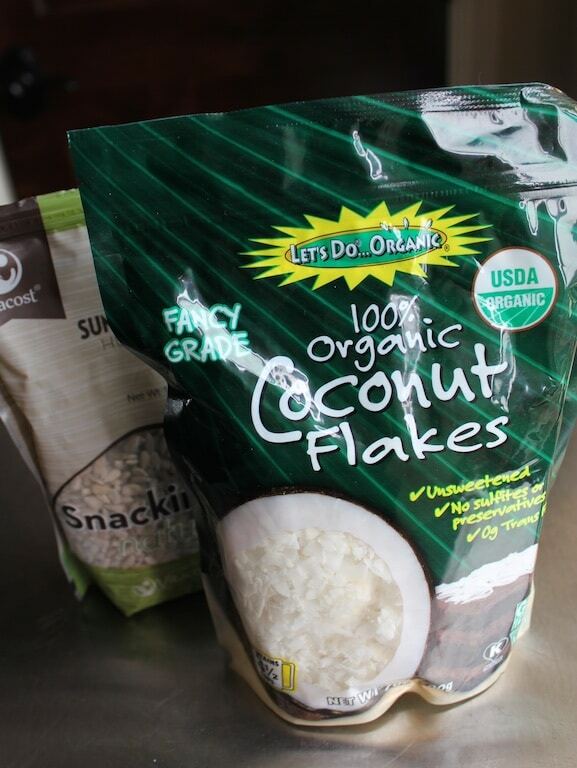 Im also a grazer so Id love to make this cereal to snack on thru out the day. My favorite breakfast is vegan french toast! The batter is so simple, just 1/2 cup almond milk, 1 tablespoon coconut sugar, 1 tablespoon nutritional yeast, and 1 tablespoon flour. Mix it all together, dip in whole grain bread slices (2), and cook in a pan until brown! I top it with maple syrup and loads of fresh fruit and there’s nothing more delicious or satisfying. I’ve been making paleo crepes lately with coconut flour, yummy! I usually have some homemade granola. My favorite breakfast now is bacon, sweet potato pancakes, and sauteed greens. Yum! My favorite breakfast (also my favorite meal of the day!) is pancakes! 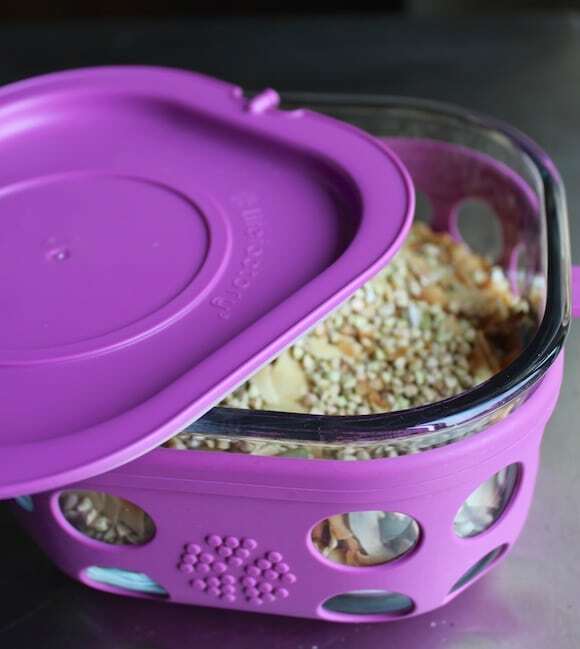 I love to make a huge batch at once and freeze for easy reheat and eat on weekday mornings. Of course the toppings are the best — nut butters, berries, seeds, cacao nibs, and anything else that sounds good! 🙂 PS: love lifefactory, thanks for the opportunity to enter the giveaway! My favorite breakfast is rava upma! My absolute favorite breakfast right now is a tofu scramble with hash browns and a side of whole wheat toast! Yum! I love cinnamon banana oatmeal made with coconut milk and sprinkled with walnuts and coconut flakes. My breakfast is carrot juice. Thanks for the giveaway. These are amazing! My go to breakfast are overnight oats, and in the morning I add a spoonful of almond butter, coconut flakes, pure maple syrup and fresh fruits! I don’t eat bananas as much these days, but when I make my posts with them, it’s a special treat and by far my favorite breakfast. I take a ripe banana and cut it into 1-2″ chunks. I put those into a pot that’s already heated up (medium temp). My daughter loves the sound of the sizzle, and I love the intense smell of the banana as it caramelizes. After a couple of minutes, I then simply add the oats, almond milk (not water), cinnamon, nutmeg and a spoon of almond butter. I then turn down the heat and stir until it has a glossy look. Delicious! When serving some like it with a drizzle of maple syrup. * Oats, not posts, lol. This cereal sounds SO good! I’ve been wanting to get a dehydrator and make my own cereal, among other things, but I’m kinda too lazy to make my own milk. Lol. Oh! And I usually eat salads for brekkie, but today I had sardines and green juice. Yep, I’m a weirdo. Lol. I love making creative bowls of gluten free oatmeal! I love oatmeal for breakfast with some fruit and nuts. But I am currently doing an anti-candida diet, so have been eating millet every morning with some walnuts and coconut flakes. This cereal would add some variety to my life. Love LifeFactory. Only have the water bottle so far, but would love these bowls! When I don’t have just fruit and yogurt, I have Nature’s Path Heritage flakes with milk. Love their taste and crunch. I love gluten free blueberry waffles. My favorite breakfast dish is biscuits & gravy! Darn… you get behind on blogging and miss super awesome giveaways! I may just have to buy one for myself anyway ;p That bowl is so cute!! And this breakfast sounds super delicious – very protein packed! 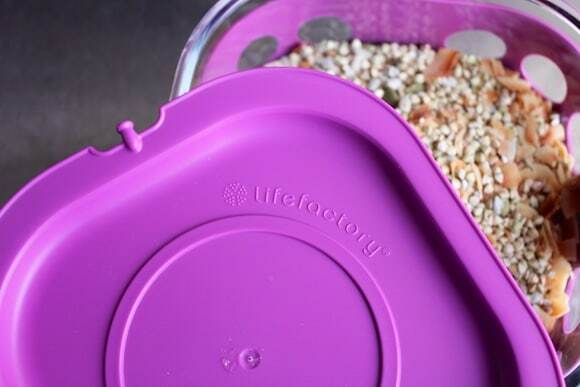 I received an email from you that I won the lifefactory bowls just shy of two weeks ago. 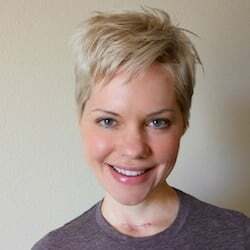 You advised for me to reach out to you if I did not receive them within 10 days and I have not. I sent a message today to your email that we had been corresponding through up to this point however my e mail failed to send due to a non working address. Any suggestions? Thank you!! I definitely love this for breakfast.